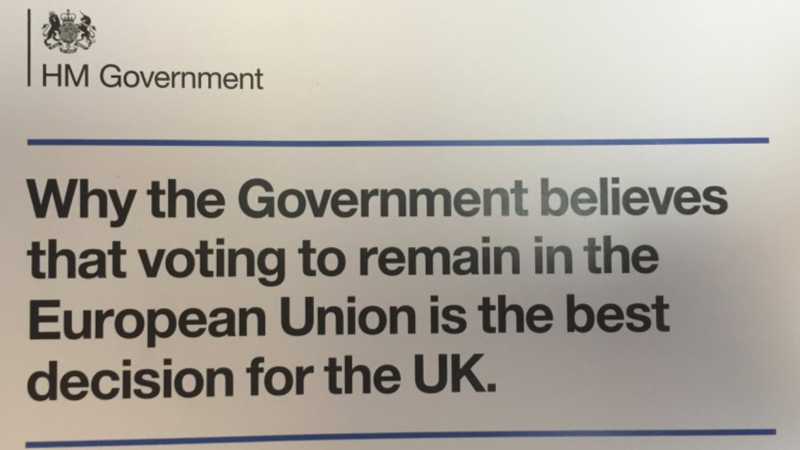 Over 150,000 people have signed an online petition to stop the government spending £9.3m to send out pro-EU leaflets to every household. As it stands the government has not backed down and the Royal Mail will begin delivering the document to 27 million households next week. However the plan has come under harsh criticism from 'Brexit' (anti-EU) campaigners who say that the government using tax-payer money in this way gives the 'In' campaign an unfair advantage. 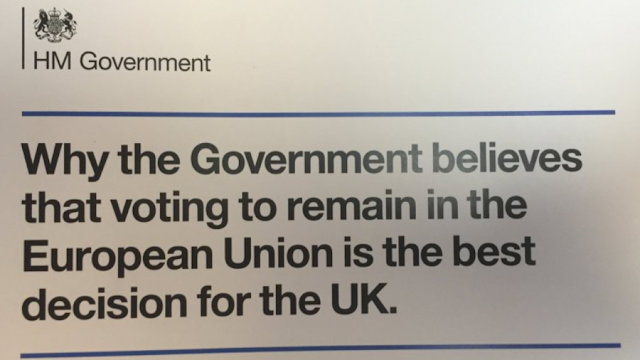 "So I make no apology for the fact that we are sending to every household in the country this leaflet, which sets out what the Government's view is and why we come to that view - we're not neutral in this."